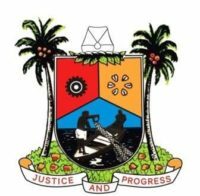 The Lagos State Government has commenced steps to complete the ongoing renovation of Ayinke House (Maternity Hospital) at the Lagos State University Teaching Hospital, Ikeja for commissioning before the end of the present administration. The Permanent Secretary, Ministry of Works & Infrastructure, Engr. Jimi Hotonu, who stated this during an inspection tour of the facility on Thursday, said that on completion, the renovated ‘Ayinke House’ will boast of state-of-the-art equipment specifically designed to cater for the health and well-being of mothers and newborns. In his words “The State government is determined to deliver a maternity hospital that is of world-class standard in the care of mothers and their babies. The new ‘Ayinke House’ will have 30 incubators with automatic oxygen delivery capacity, neonatal life support, five operating theatres and oxygen plants. We should also note that the hospital has been upgraded from an 80-bed hospital to a 170-bed facility”. Dr. Oduwole Oluseye, the representative of the Commissioner for Health, Dr. Jide Idris at the event, noted that all efforts are presently geared towards ensuring that all outstanding issues for successful commissioning are addressed. He asserted that the State government has ensured that “Ayinke House” would become fully operational without a shortage of medical personnel, revealing that Doctors and other medical staff have already been employed and incorporated into the operations of the foremost tertiary medical institution, LASUTH. In his own contribution, the Chief Medical Director of LASUTH, Prof. Adetokunbo O. Fabamwo affirmed that the upgraded ‘Ayinke House’ will rank alongside hospitals in other parts of the world and boast of high-level technology befitting of a tertiary institution.